Now you can learn to cast natural-looking stone for pennies a square foot! With these step-by-step instructions, some molds, concrete, and items found around the house, you can make professional-looking stone or veneer for about $0.55 a square foot, depending on thickness. Why pay as much as $6.00 or more? And you can make the stone in any colors you like, right in your garage, basement, shed, or backyard. No previous experience needed. Just follow these instructions. 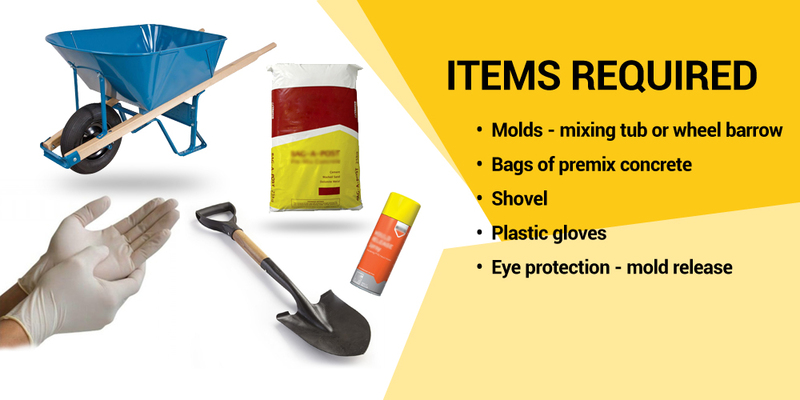 Molds - mixing tub or wheel barrow - Bags of premix concrete - Colorant - Water - Shovel - Plastic wrap or Sheet - Plastic gloves and eye protection - Mold release - Desire. You can make concrete castings almost anywhere, and depending on temperatures, at almost any time. The main thing is to stay above freezing temperatures during the mixing and curing process. Once concrete is cured, temperature does not seem a factor. The cast stone can be stored outside with no problems. 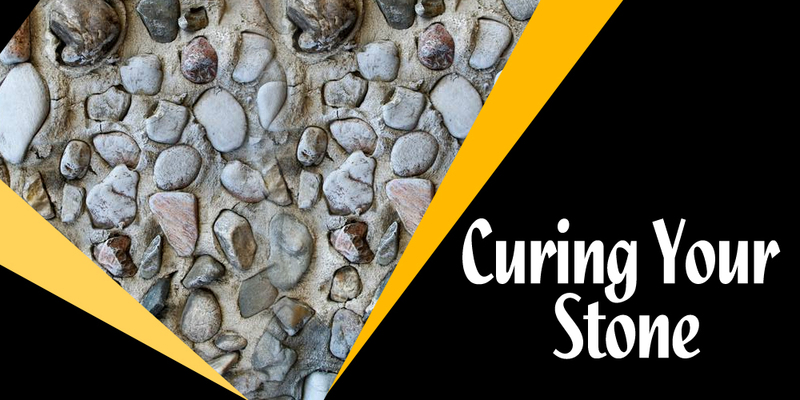 After mixing, and during the curing process, it is a sublime idea to produce the stone in as moderate temperature as possible, even though concrete sets up and cures at almost any temperature. First, apply a mold release to the molds. Use a commercial mold release or a light vegetable oil. For ease, spray the release from a Dollar Store plant-misting sprayer directly into the mold. Spread the oil and wipe any excess out with a fine sponge or cotton cloth. A very light coating is all that is required. 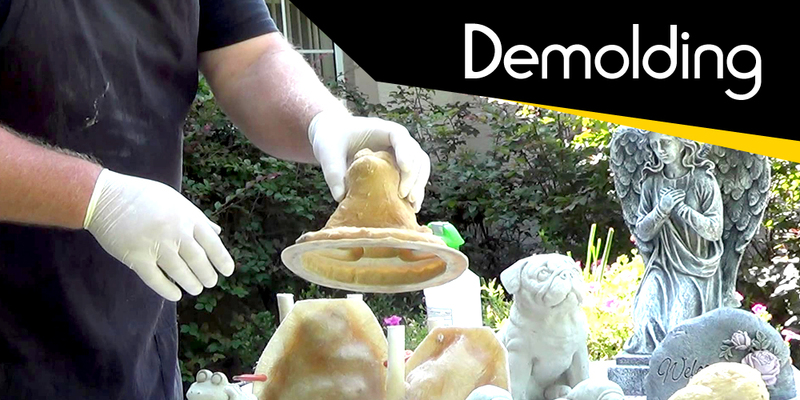 To get a natural random shading effect, sprinkle powdered colorant into the oiled mold. Shake it from side to side. Use a brush to spread the colorant around the inside of the mold. The most natural looking results are obtained with a random spreading and dusting of a couple of colors. 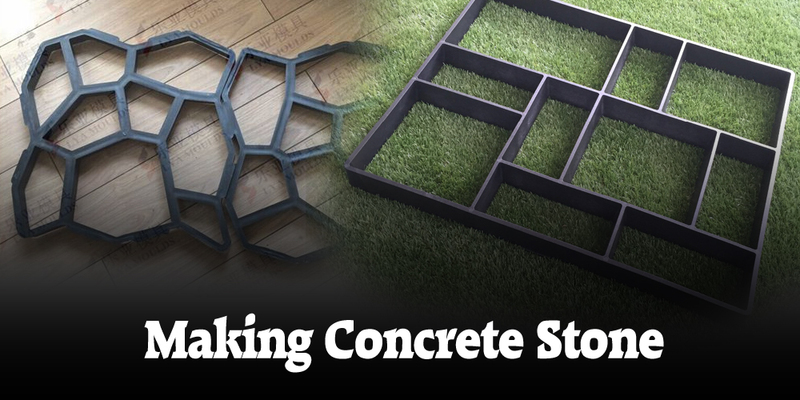 If you have a very large project, or want to use a basic concrete mix using Portland cement, or if you want to make a lightweight concrete, basic concrete mixes are available on Google, and concise step-by-step instructions normally come with molds. You want a stiff mix, but not one that is too dry. It should not flow like pancake batter. Too thin a mix will give you a weak stone. To Color Your Stone, blend powdered colorant into the dry concrete first. If using a liquid colorant, add it to your batch water first, then proceed as normal. 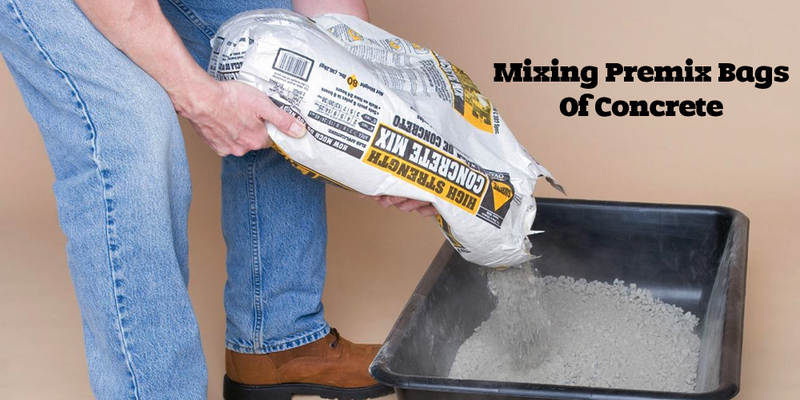 Fill each mold halfway with your concrete mix. Immediately bounce your molds up and down to help compact the concrete mixture, and break up any air pockets to insure a solid base. Then fill molds the rest of the way. Excess liquid will come to the surface during this process. Do not remove this water as it helps with hydration. 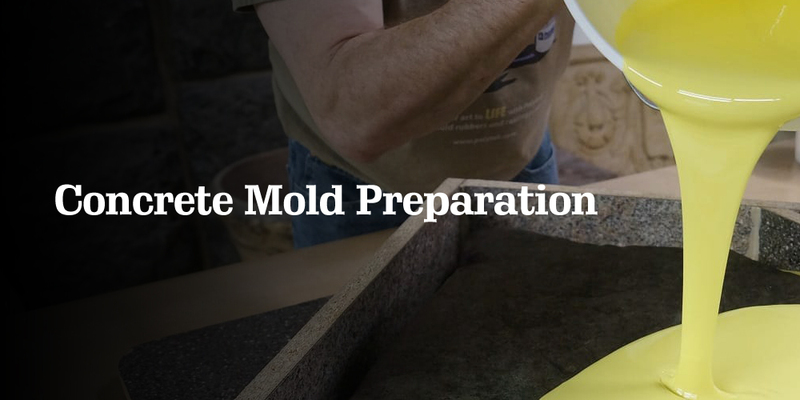 Now put your filled mold on a level surface away from direct sunlight. Cover with plastic. Keep the concrete wet for as long as possible. The hydration process is what helps cure the stone. Leave the filled molds alone for about 24 hours. The concrete will get stronger the longer it is curing in the mold. Normally, you can demold your stone after 24 hours. Place your mold flat with the face of the mold up. Gently lift the mold off from the corners. It will normally come off your stone easily. If it sticks, gently press the center and each mold corner lightly to help loosen it. There, you have it! If you are going to pour More Lightweight Stone Panels right away, apply mold release to molds and follow the procedure as before. Use mold release to help dislodge any color or concrete that may have stuck to your molds. You should now put your stones in a protected area and cover them with plastic again to keep the moisture in. Let them cure for a week or two before applying a sealer. For exterior applications, use a penetrating sealer to help prevent staining. If it is an interior wall application, you do not even have to seal it. A topical sealer can be used for floors if desired. Your Stone Can Be Installed about a week after demolding if you need.